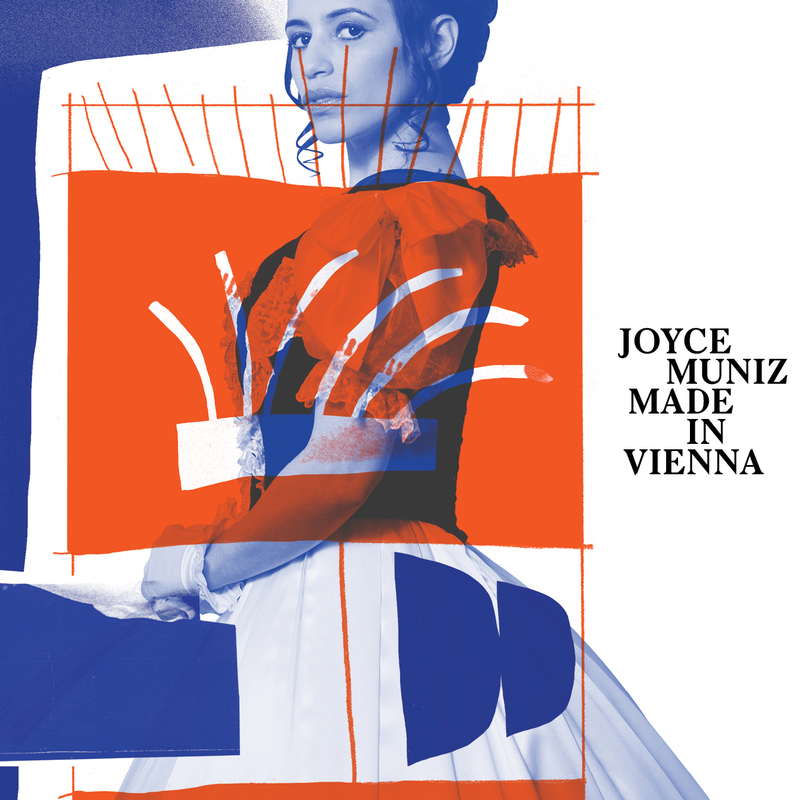 It was fitting that Brazilian-born, Austria-based artist Joyce Muniz broke through in an era characterised by the cross-pollination and globalisation of music. Initially combining the sounds and rhythms of her home country with contemporary European electronic sounds, she later morphed into a house / techno producer of the highest calibre. Along the way she worked with the likes of Maya Jane Coles and Viennese legends Kruder & Dorfmeister and released on influential imprints like 2020 Vision and Shir Khan’s Exploited. It’s the latter which has been her main platform for releasing music since 2011 and where she now unleashes her full-length debut album, Made In Vienna. The album showcases the latest evolution of her sound, moving her from the dancefloor into a space somewhere between the club and the home, aided by a slew of perfectly crafted vocals.“This album took almost two years to make” she reveals. “I met a lot of people during my tours. I also brought a lot of people to Vienna to work with me.” Her symbiotic relationship with the Austrian capital sees her put in as much as she takes out of it. She is part of the fabric of the city’s musical scene, from her show on national radio station FM4 to her residency at the sadly deceased Pratersauna. With a long gestation period and a cast of collaborators picked up through her journeys across the world, Made In Vienna is a record that embodies Muniz’s recent life and experiences, and makes it all the more personal and charismatic as a result. “It’s hard to say what this album is” she elaborates on the record’s identity. “I can imagine people dancing to it in the club but also in the car, or hearing it on the radio or at home. I think it really depends of the mood of the listeners.” Indeed, with the lines between the clubs and the radio blurrier than ever, her approach to this debut record couldn’t be better suited to 2016. Kat Vinter’s honeyed vocal on Cover Me Up gets the album going in fine style, countered by male singer Knixx’s soulful delivery on Drop In Pressure as a follow-up. Simple Poetry shows she doesn’t rely on vocals to make a captivating track, however, with lush chords pulsing over a succinct arrangement. Wake Beside You shows her prowess in the b-line department with Christa Vi’s higher registers providing the perfect counterbalance to the phat bottom end. Hide with Enequist takes her musicality to new heights with gliding harmonies and xylophones and Human Life collaboration Deeper takes the melodies into a moodier place. Gotta Love It is one of her typically guttural, low-slung club workouts. Daydreaming provides a gently pumping and euphoric groove. After this comes Angelique Bianca’s sultry tones on the techy Wehbba co-production Sleepless, and her Kraftwerk-sampling single Back In The Days with Jungle Brothers legend Bam’s inimitable hip-house stylings showing what a diverse range of sounds and songs Muniz is able to eke out of the house/techno template. Album closer Silent Crime presents the album’s most delicate and fragile moment. It’s not easy to make a cohesive, convincing album that marries the best of both worlds, but Joyce Muniz has done in seemingly effortless fashion.